Here on the Feast of the Conversion of St. Paul, the apostle to the Gentiles, I thought I’d offer this reflection on mission and catechesis. Missiologists have been saying for some time that the current North American religious context is becoming more like the global mission field, in which the basic religious attitudes of most people are non-Christian, and often not even comprehending of basic Christian assumptions. For the North American church, we can no longer assume that our neighbors share a fundamentally Christian understanding of reality, much less an in-depth knowledge of Scripture or basic Christian teaching. Mission is thus no longer something that happens “out there” but in our own neighborhoods. This reality is, for many, not something lamentable, but a unique opportunity to proclaim the gospel in a more stimulating and vigorous way. In fact, we are now faced with many more obvious parallels with the early church, who, like St. Paul on Mars Hill (Acts 17), were challenged to proclaim the gospel of Jesus Christ in a staggeringly diverse religious world. 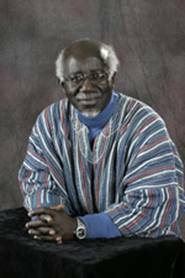 A major theologian who brought these worlds together—mission, world Christianity, and the early church—was the Ghanaian theologian Kwame Bediako (1945–2008). Bediako grew up in Christian home, though later became an atheist before converting back to Christianity during doctoral studies on French literature at the University of Bordeaux. He would later study theology under the great missiologist Andrew Walls at Aberdeen in the early 1980s. His dissertation, published as Theology and Identity: The Impact of Culture upon Christianity in Modern Africa (Oxford University Press, 1992), made a major impact by its comparison of the second- and third-century apologists and twentieth-century African theologians. I recently had the pleasure of reading an article of Bediako’s from the mid-1990s entitled, “‘How Is Jesus Christ Lord?’ – Aspects of an Evangelical Christian Apologetics in the Context of African Religious Pluralism” (in the journal Exchange: Journal of Missiological and Ecumenical Research 25, no. 1 : 27–42). In this article, Bediako makes a case for how Christian truth claims are only really intelligible in the context of a “serious engagement with alternative viewpoints.” He is thinking particularly of the African religious context, but he generalizes this point into a principle that is broadly applicable: engagement with alternative viewpoints is not only unavoidable but beneficial for the quality of evangelical Christianity, for “the very necessities of theological apologetics require that we make sense of our Christian affirmations only in relation to whatever alternatives are found in the contexts in which we make those affirmations” (31). In particular, he takes up the question of the uniqueness of Jesus Christ. Bediako contends that Christian proclamations about the uniqueness of Christ are only fundamentally validated, not from “within” a hermetically sealed Christian world, but in relation to those other spiritual worlds inhabited by people of other faiths. He is not claiming that the “content” of Christianity needs to be altered (for the content is fundamentally a person, Jesus Christ). However, this content can be spoken in an “idiom” that emerges out of the native African context (39). The important point is that Christians can only understand the meaning of their own claims—in this case, the claim about the uniqueness of Christ—when they encounter alternative viewpoints. Bediako contrasts this position with a certain kind of discourse that treats theological claims as “fixed data” that are somehow inherently meaningful “irrespective of their validation in terms other than those in which they are stated” (33). Biblical affirmations of truth, however, do not function this way. Rather, they are constituted by the total character of revelation of which they partake—namely, the revelation of God in the history of Jesus Christ. Biblical revelation is primarily a human life—the life of Jesus Christ—not a set of propositional truths or doctrinal formulae. Truth claims are not denied here, but Bediako emphasizes that they are only meaningful after the fact—in response to the fundamental revelation of the person of Jesus Christ. Bediako thus contrasts two notions of truth: a truth of assertion versus a truth of recognition (33). In the latter instance, claims about the uniqueness of Christ are not (and indeed cannot) be made prior to the encounter with alternative viewpoints, but only after—it is a truth recognized rather than asserted. That truth claims are to be “recognized” rather than “asserted” points to a fundamental conviction about religion for Bediako: a religion is less a “belief system” and more a “matrix in which man (sic) and women experience and respond to . . . ‘the stuff of the sacred’ in their human existence” (36). As “traditions of response,” religions have to do with what makes humans respond to the sacred in certain directions rather than others. For Christians, Bediako claims, all religions (as traditions of response) are ultimately responding to the presence of the Holy Spirit, which is active in each religion to varying degrees. The question that the apologist or missionary might ask, then, is: What are the aspects of this particular matrix that point toward or away from Christ? More theologically: Where is the Holy Spirit already active in this religion, either leading people toward Christ or being prevented from doing so? Their task next is to “demonstrate how the Scriptural witness to the life and ministry of Jesus Christ, illuminated by the Holy Spirit, is the clue to the yearnings and quests in the religious lives of people” (36). Bediako tests this claim about assertions and recognitions by recourse to three aspects of Christian affirmation: the Incarnation as affirming divine vulnerability, the Cross as affirming the suffering of evil forgivingly, and Communion as affirming the reconciliation of peoples across racial, national, ethnic, and cultural boundaries. In these three aspects of Christian affirmation, all religions—importantly, including Christianity itself—are challenged to respond, either towards or away from Christ. In what ways do non-Christian religions show signs of vulnerability, forgiveness, and reconciliation? These can be seen, Bediako suggests, as instances of the Holy Spirit—however hidden—at work. Bediako proposes, controversially, that the notion of Jesus as “Ancestor” is one such way in which interaction with alternative traditions legitimates Christian truth claims. The Ancestor in traditional African religious life is one such notion wherein a non-Christian religious idea bespeaks a “clue to the yearnings and quests in the religious lives of people.” In much the same way that early Christian apologists like Justin Martyr spoke of the logos already present in the best of Greek philosophical traditions, Bediako sees the Holy Spirit present in the African notion of Ancestor, nudging people in the direction of Christ. Bediako writes: “Jesus is the only real and true Ancestor and Source of life for all mankind, fulfilling and transcending the benefits believed to be bestowed by lineage ancestors” (39). Essentially, what Africans hoped for in the concept of “Ancestor”—a mediator, a source of unity for the clan—Bediako sees Christ as fulfilling and transcending. Christ fulfills certain aspects of the Ancestor—the mediatorial, unifying role, for instance. But Christ also transcends these roles. He is the source of mediation and unity not simply for a tribal clan but for a multi-ethnic, trans-tribal “clan,” namely, the church. What was gestured at in African traditions finds completion in Christ. He admits that his approach to apologetics may seem too “open-ended,” even “risky” (40). His response, however, is that such vulnerability and openness to finding the Holy Spirit outside Christianity is precisely a mode of apologetics that is fitting to the kind of life modeled in Christ. “Such an approach, precisely, through openness and vulnerability, is what Christian witness to the divine incognito in Christ requires” (40). Apologetics is thus not a matter of coercing belief through a rhetoric of violence or force, but rather a mode of witness that echoes Christ’s own model of engagement with the world. The purpose of apologetics—and here we can say catechesis also—is not primarily to proclaim an “affirmation of assertion,” an articulation of Christian truth that is blind to our cultural context, but rather an “affirmation of recognition,” an ability to articulate the coherence of Christian truth in a vulnerable and humble manner such that catechists can help people see the “clues” of the Holy Spirit moving people Christward. The catechist does not need to lose his nerve or acquiesce to the prevailing moods of the day—precisely not this. However, the catechist, in recognition of both the preceding work of the Holy Spirit and the humble approach of our Lord, can articulate a matrix in which the biblical and doctrinal claims of Christianity can be “recognized” in relation to the multiple matrices of the religious world in which we find ourselves. Older PostCan Faith Be Taught? Who is the Teacher?